Forthcoming in Antipode 47(5) in November – and available online now – Malini Ranganathan’s Storm Drains as Assemblages: The Political Ecology of Flood Risk in Post-Colonial Bangalore “materializes” the political ecology of urban flood risk by casting stormwater drains – a key artifact implicated in flooding – as “recombinant socionatural assemblages”. It examines the production of flood risk in the city of Bangalore, India, focusing on the city’s informal outskirts where drains, wetlands, informal urbanism, and circulations of global capital are concentrated. Staging a conversation between Marxian and Deleuzian positions, Malini argues [i] that the dialectics of “flow” and “fixity” are useful in historicizing the relational politics of storm drains from the colonial to the neoliberal era and [ii] that flood risk has been heightened in the contemporary moment because of an intensified alignment between the flow/fixity of capital and storm drains. Storm drains – and the larger wetlands that they traverse – possess a force-giving materiality that fuel urban capitalism’s risky “becoming-being”. This argument raises the need for supplementing political-economic critiques of the city with sociomaterialist understandings of capitalism, informal space, and environmental risk in the post-colonial city. The paper concludes with reflections on how assemblage thinking opens up a more distributed notion of agency and a more relational urban politics. Malini is an Assistant Professor in the School of International Service at American University, Washington, DC. Her scholarship on the politics of urban infrastructure and “natures” seeks to enrich what we know about capitalism, citizenship, and sustainability in the world’s most rapidly urbanizing regions. It has been published in the International Journal of Urban and Regional Research, Urban Geography, and Water Alternatives among other places. 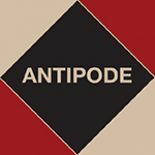 For more on the ideas explored in Malini’s paper, see two recent Antipode virtual issues: “Ecologies In, Against and Beyond Capitalism” explores the intersections of Marxian and Deleuzian, radical political-economic and “new materialist”, contributions to urban political ecology; while “People Without Property in Jobs: Stuart Hall and the Conundrums of Contemporary Urbanization in India” looks at questions of rapid urbanization in the global South. This entry was posted on 3 June 2015 by Antipode Editorial Office in Video Abstracts and tagged assemblage urbanism, Bangalore, Bengaluru, Capitalism, citizenship, Deleuze, dialectics, fixity, flood risk, flow, India, informal urbanism, infrastructure, Marx, materiality, more-than-human geography, new materialism, post-colonial urbanism, radical political economy, science and technology studies, storm drains, sustainability, urban political ecology, wetlands.